functionalities available. 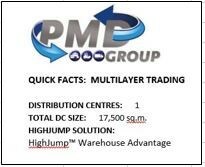 Multilayer saw tremendous value in the flexibility of HighJump’s WMS, as it could be adapted to meet the organisation’s exact and diverse business needs. “The improvement in the efficiency of our warehouse operations has helped us grow our production volumes and our profit ratios. We are very impressed with HighJump’s capabilities. We found iWMS to be extremely professional and proficient throughout the process, from the initial discussions to the selection of the solution to finally the ‘big bang’ switch-on. We look forward to a long, successful partnership with iWMS and its technical support teams” added Doyle. In almost every industry, buyers are becoming fickler, and more demanding. For logistics executives, effectively meeting buyer needs has become a relentless quest for speed and agility. Traditional supply chain solutions – siloed, complex and hard-to-implement – no longer suffice, as competitors find ways to deliver goods faster and more profitably. In today’s “now” economy, HighJump helps you stay agile, with adaptable, connected solutions that harness the power of your trading partner community. From the warehouse to the storefront, from the desktop to the driver’s cab, we can help you achieve new levels of supply chain responsiveness, performance, and profitability. 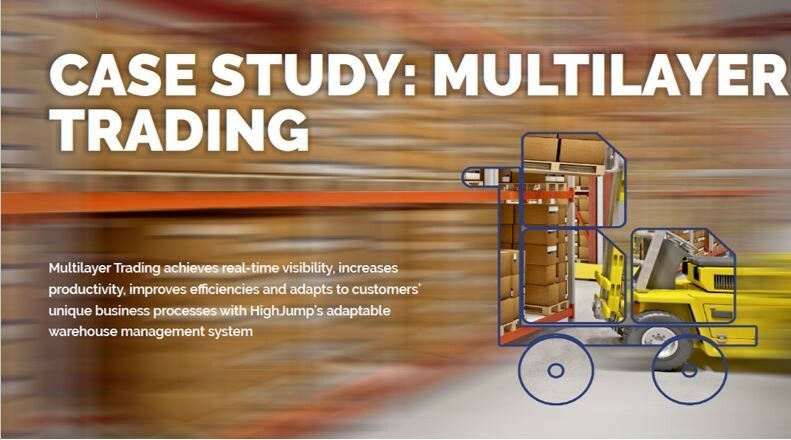 HighJump’s suite of warehouse management, business integration, transportation management and retail/DSD solutions form a complete, powerful and adaptable platform that allows you to drive growth, customer satisfaction, and revenue. HighJump: supply chain accelerated. iWMS is an independent software developer, innovator and team augmentation partner with years of global experience in consulting, building, and supporting Retail eCommerce and WMS solutions. We offer proven industry-leading software from HighJump for Retail eCommerce and Warehouse Supply Chain Management.